As kitchens became bigger, allowing for more functionality and space, the kitchen island was created. Open kitchen areas are popularly dominated by a kitchen island, making it a space that serves as your dining nook or a place for people to sit while you cook. 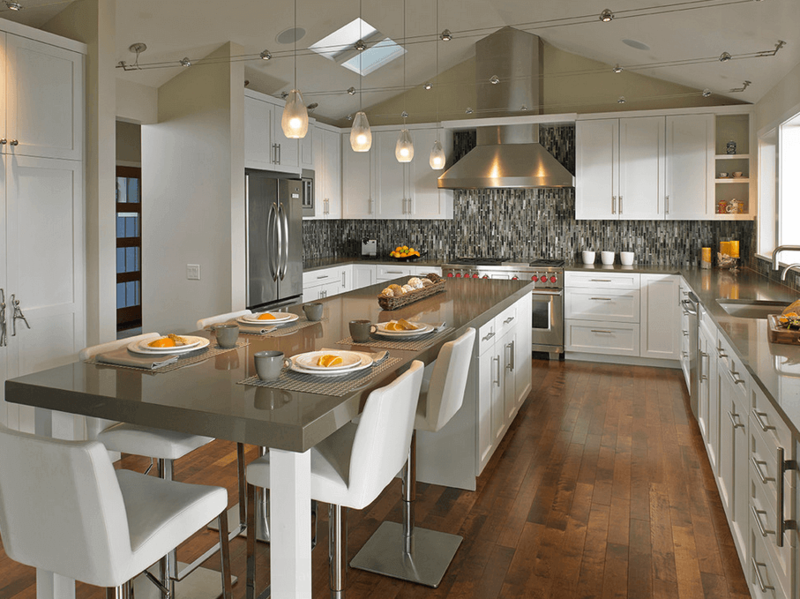 Kitchen island concept and designs work for areas with a larger space. For small kitchens, the islands become an obstacle, making space look smaller and cluttered. A kitchen island provides you with more counter space, additional storage area, extra seating options and a place for more appliance space. The idea behind installing a kitchen island is to you give you more space and functionality without disturbing the existing model. 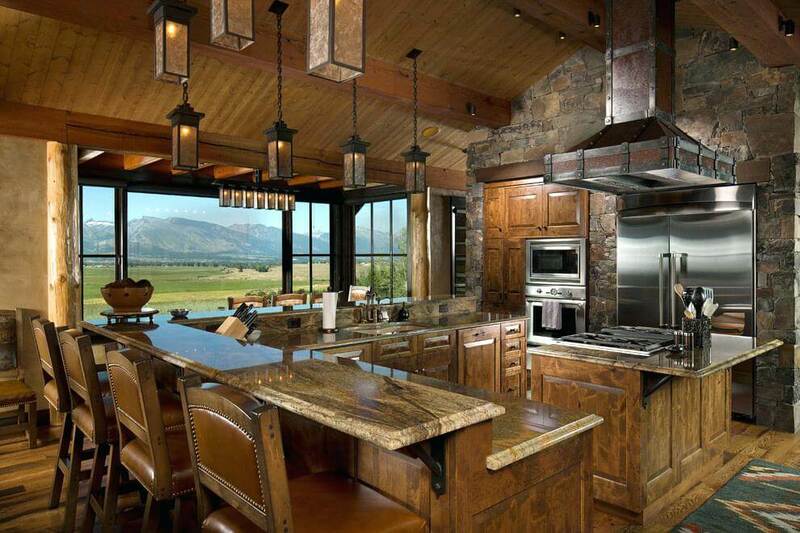 A kitchen island serves the following purposes, either storage, prep, cooking, serving, and cleaning up. 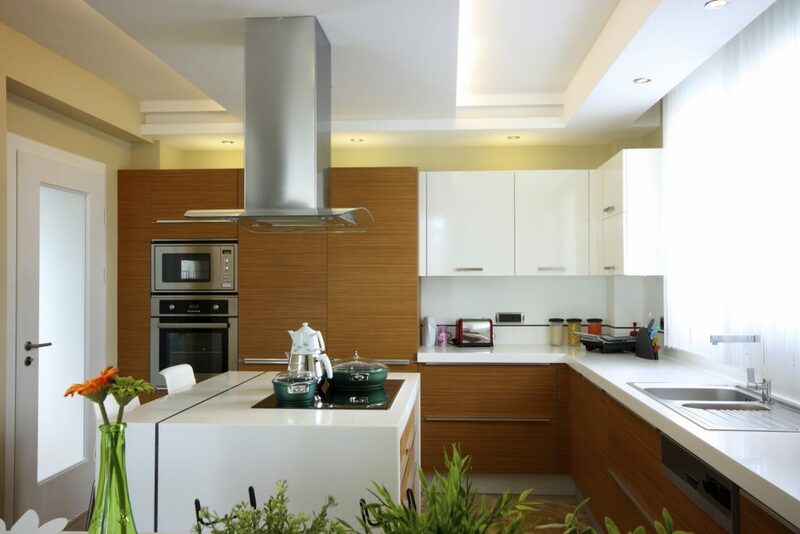 You must identify what purpose best suits your needs before you design your ideal kitchen island. Once you choose its purpose, the length, width and depth will be further decided upon. Remember to choose an ideal spot for installing the kitchen island, so as to increase the efficiency of the workflow around the kitchen area. If you own a kitchen island or are in the works to creating one, here are a few ways you can repurpose and rejuvenate your space for more style, efficiency, and functionality. Upgrade the island in a small way to begin with. Add a few useful kitchen accessories. Create a casual breakfast nook. Add a place to chop your meat and vegetables or put in a grilling rack. Add colourful appliances. Or make use of the counter space as your work top. Another great way to enhance the look is by doubling it as a mini bar. With racks above the counter for drinking glasses and the storage space below to store your alcohol. Make sure to also add additional electric outlets to the island. Use a similar colour or a contrast of colours for a more dramatic feel. An all-white kitchen looks clean, organized and beautiful. Bright and vibrant colours make your kitchen look more inviting and alive. By adding lighting fixtures, you create a focal point of the room. You can use low hanging pendant lights or spot lights. Since the kitchen island is the center focus, the counter top material must be high impact, with the likes of recycled glass, marble or granite. Making this a visual treat. Add seating around the kitchen island, making it a great place to eat quick meals, work, keep your guests occupied while you cook. Make sure to have 24 inches of space per seat so as to avoid any collision of elbow. Adding seating options make for an informal dining space to use when you have fewer guests over. The height of the chair should always be directly proportional to the height of the counter top. Create a kitchen island to suit your needs. 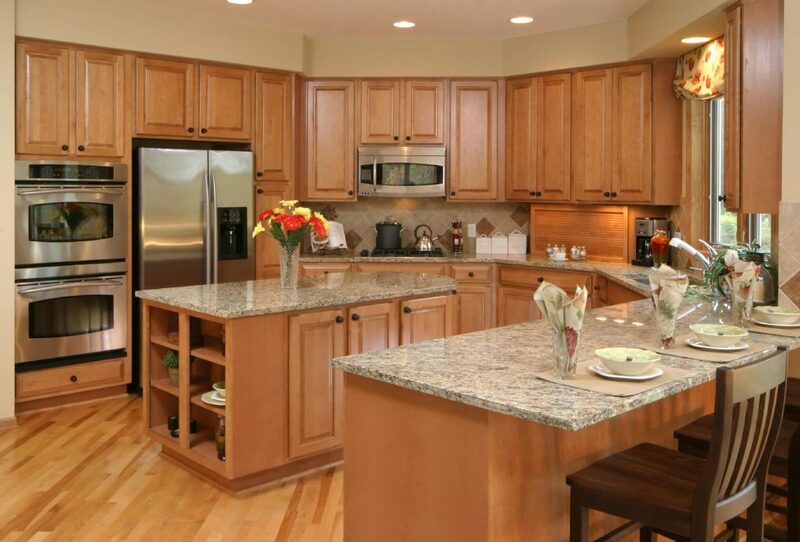 If you like to bake, you can incorporate a maximum counter top area, with an oven at the bottom. The counter top space can double as a chopping board with a washing sink. Or a clean clutter free counter space for keeping your cooked meals and salads on display. Kitchen islands can also be multi-tier, or multi-layer, depending on how much space you have and what you want to do with it. If you are looking at creating more storage, incorporate more cabinets and shelves in your kitchen island. Display your beautiful dinnerware or glassware with open kitchen islands. Just a couple of shelves to display your dishware. Keep them open or cover them with glass doors. Decorate shelves with beautiful baskets, cookbooks or any other kitchen accessory. Create a wow factor with a kitchen island that is of a completely contrasting colour or look. Match to it or balance it out with chairs or bar stools to create a more fabulous look. You don’t need to stick to the traditional rectangular shape of the kitchen island. Customize it according to your style and the availability of space in your kitchen. Swap out the regular rectangular shape for a T-shape or an L-shape kitchen island. Curved islands also look spectacular and provide more space. Make sure that the addition of the island doesn’t reduce any space, allowing for easy traffic in and out of the kitchen. RBJ Technologies Private Limited, Plot No - 12,13,14, Survey No. 40, Khajaguda-Lanco Hills Road,Hyderabad-500008. RBJ International Pte Ltd, 120, Robinson Road#15-01, Singapore-068913.